Chicagoland stone veneer installers and contractors: all you need to know about thin stone and brick. Stone and thin brick veneers have a gained a lot of popularity as an elevation material. Sometimes they also called faux, manufactured stone or cultured stone. They all can be installed virtually anywhere both interior and exterior. Thanks to vast array of colors and textures you can easily bring character to your project. One of the main advantages is installation method that is easier the natural stone veneer and could be a DIY project or you can leave it up to pros to take care of it and bring your ideas to life. 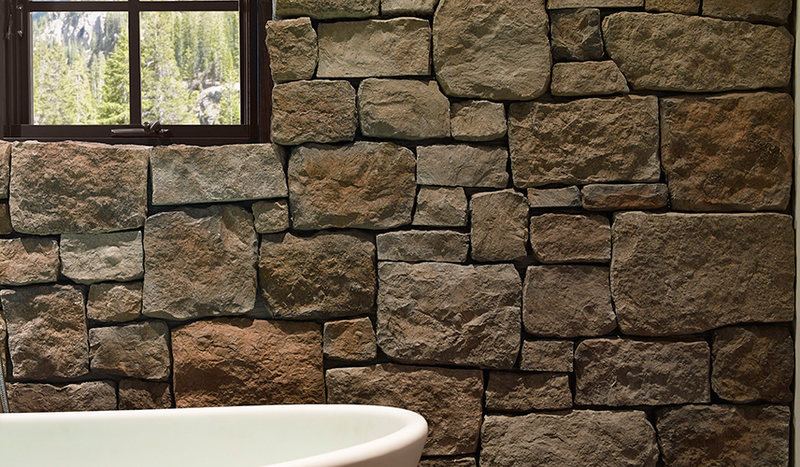 Stone veneer reflects natural variety of the material similar to natural stone. There are many inspiring collections available offering nearly unlimited possibilities of design and installation. Customers can choose between traditional fieldstone, contemporary ledge stone and more natural design like river rock appearance. It is often installed as exterior facades, interior wall accents, barbeques, fireplaces, retaining walls, monuments, fences, and nearly any structure that can be finished with masonry material. Stone veneer works great against ever-changing weather elements and has proved to be a durable material that will last for a long time. It is lose more lightweight compared to regular stone and weighs about 50% less which causes less stress to supporting wall/structure. Typically it is installed over cement board like Durock, but if installation allows, it can be installed over the existing bricks or even drywall. – The amount of corners, openings, detail work etc. We will inspect and inform you of any undelaying problems or structural issues that maybe encountered and factor that into price. The estimate does include the cost of stone/brick material including waste and spare pieces. It also include the labor to fabricate and install the stones, grout and clean, any required job supplies, clean up and disposal of all debris. Please don’t hesitate to contact us for a free consultation or design ideas. Look no further if you need quality veneer installers.